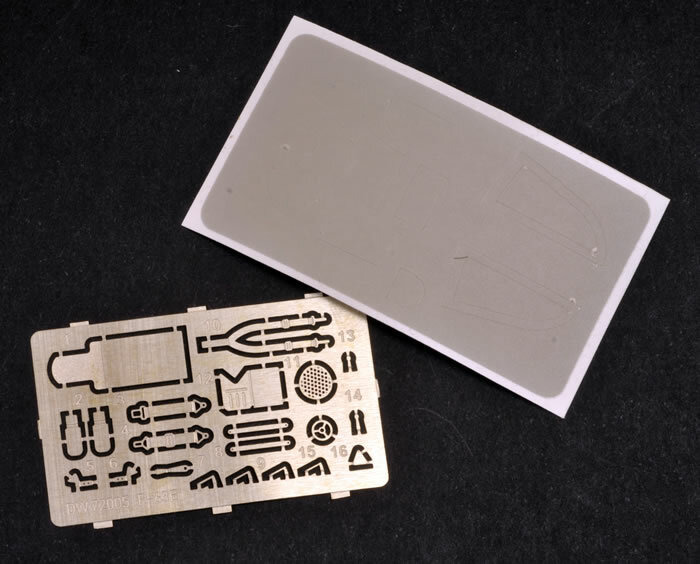 Grey and clear plastic parts; photo-etched fret; self-adhesive die-cut canopy masks and decals. A nicely moulded and detailed kit of one of the less successful and rarer US aircraft. Lovely interior detail and possible control surfaces. Some queries about wingspan accuracy (probably not worth worrying about), no mention of interior/detail colours, no drilling instructions for ordnance, no mention of nose weight requirements, and it is definitely not the 2-seater spoken about in the instructions. Despite the ‘issues’ with the wingspan and incorrect instruction spiel, this is a nice kit. Ignore the above and you will get a good little model of this Central American fighter from the fifties. 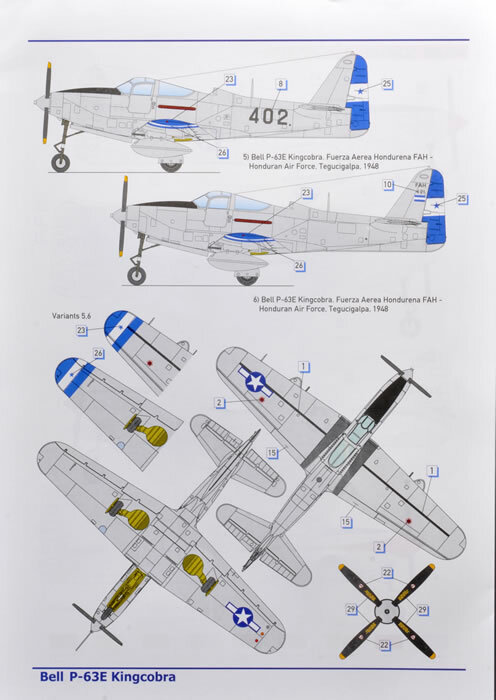 This Czech company has burst onto the scene in the last couple of years with a range of kits that modellers have been clamouring for - 1/48 Gee Bee, Bf109A/B, P-63s and Dewoitine 510 1/72 Percival Proctors and Vega Gulls - Yummy!! 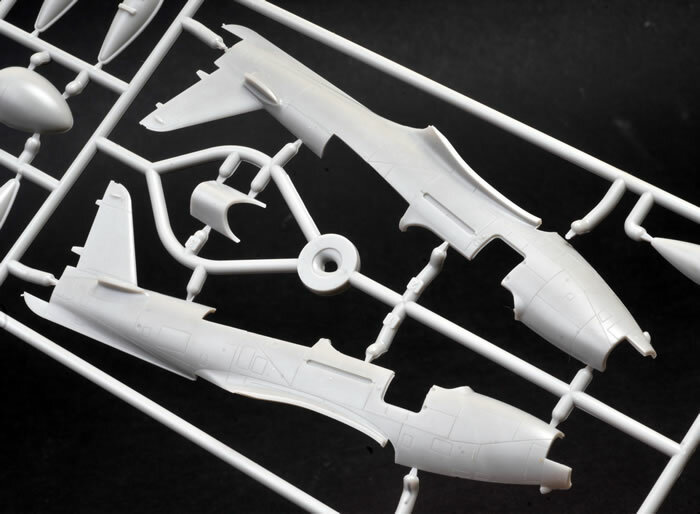 Promised are also such items as Fairey FD1, Westland Wapiti and Wallace in 1/72 and in 1/48 a Bellanca CH400! 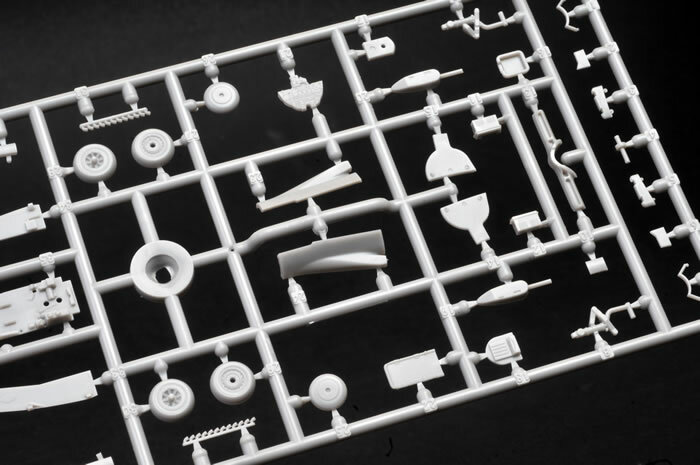 Previous Kingcobra kits in the ‘one true scale’ have been from Aoshima , Eastern Express and an early MPM - all model ‘A’s - and model ‘C’s from MPM and Toko. The availability of these is unknown but probably only on the second hand market. 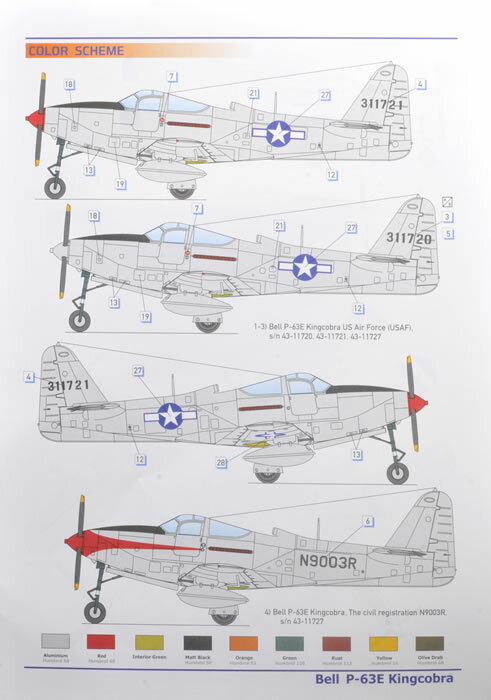 This kit is a follow-on from the early released P63A and is most welcome but does present a bit of a conundrum if you just follow the information on the instruction sheet. The P-63E was a development of the earlier A,B,and C models with a more powerful engine, greater wingspan, altered intake behind the cockpit, a ventral fin and a larger dorsal fin in some cases. Only 13 were completed out of a huge cancelled order and these all went to the Honduran Air Force (HAF). “An entirely different two-seater was produced by the Bell company for internal use. Two P-63E-1s were modified by Bell with a separate observer seat in the rear fuselage, located behind the engine and mounted under a separate canopy. A probe was mounted which extended through the spinner and to make space for the observer the radio equipment had to be moved forward into the armament bay. The aircraft carried the civilian registrations NX41963 and NX41964”. And looking at the box art, parts in the kit and the build instructions, it is not what you get! 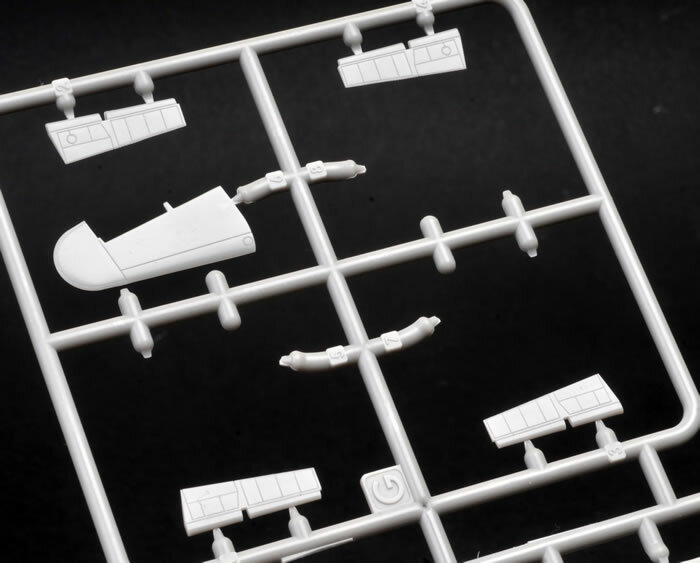 I believe that Dora Wings have mixed up the instruction information with their 1/48 kit of the 2-seater, although the presence of moulded in fuselage details for the second cockpit indicates that Dora is planning a 2-seat 1/72 kit. But there are other issues as well. The wingspan for the P-63E was 11.95 metres, or 166mm in 1/72 as distinct from the P-63A/B/C which was 11.7 m or 163mm. The kit box tells us that the wingspan is 153mm, the instructions quote 122mm (!) and I measured it at 162mm, which is close to the early span but short of the ‘E’ version. 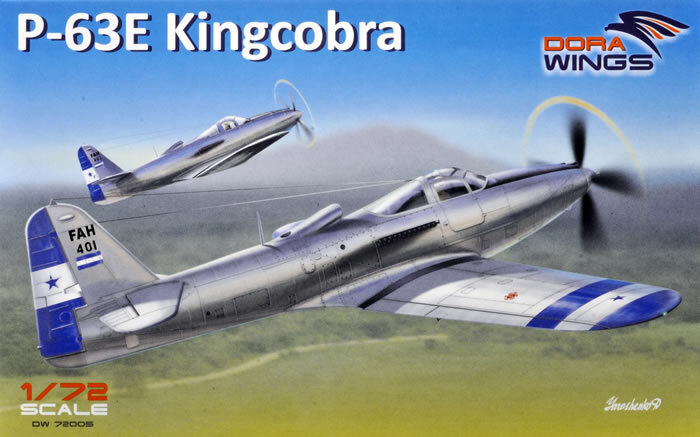 Furthermore, the box art shows two HAF Kingcobras, the front one having a noticeably shorter fin than the one behind ( which is correct for the later versions). The kit contains the correct taller fin. 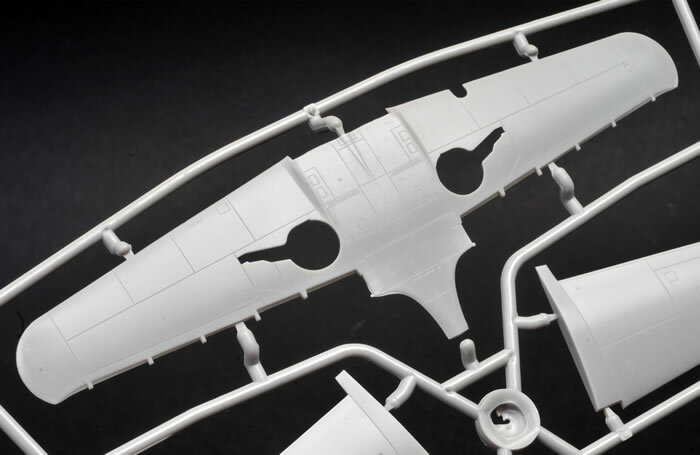 What I think has happened is that DW have plans to make a 2-seater in this scale and so have moulded the interior detail in anticipation, but have not extended the wings from their original kit. They have then accidentally transcribed the info from their 1/48 2-seater kit into the spiel with this kit. The extra 3 mm wing extension will probably not worry most of us so lets just treat the kit as presented, from which you can build one of the 13 ‘E’ variants that appear to have gone to HAS, one of which survives to this day at Pima, Arizona. 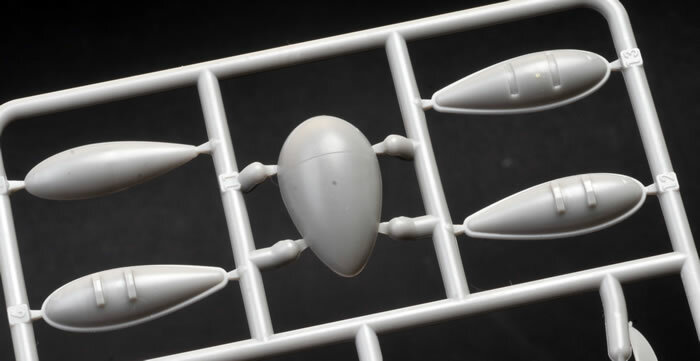 The kit is moulded in a light grey plastic, correctly includes the ventral fin, and has excellent fine recessed panel lines and sculpted details. 96 parts make up the kit plus a 19-part PE sheet to add cockpit and airframe details and a set of canopy masks - always handy in this scale. The review sample showed no evidence of flash but the short-run nature of the kit is revealed by the absence of locating pins so take care with alignment! 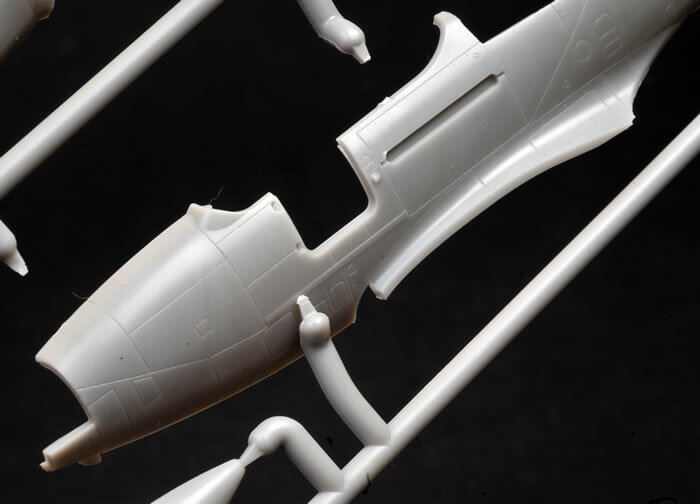 Check carefully if you need to drill through the depressions in the wing to add tanks or guns as no instructions are given on the sheet! Part E3 is a mystery but probably relates to the 2-seat version to come. Part E11 is a belly tank that was used on French P-63Cs and the two-seater, rather than these fighter E versions. 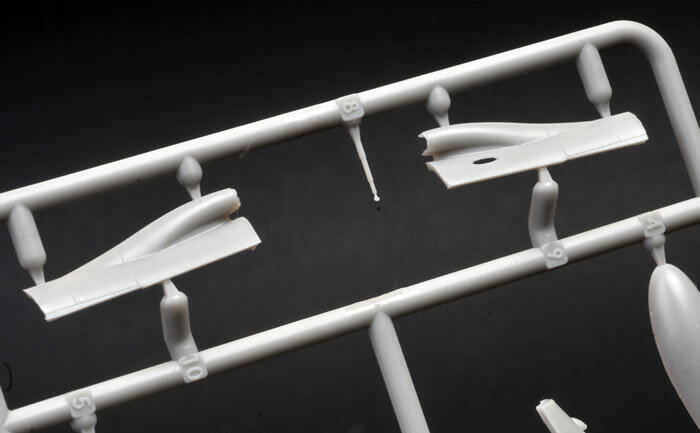 Two nice drop tanks with shackles and two underwing machine gun fairings are included for the armed HAF examples - just check which holes need drilling out in the wings. 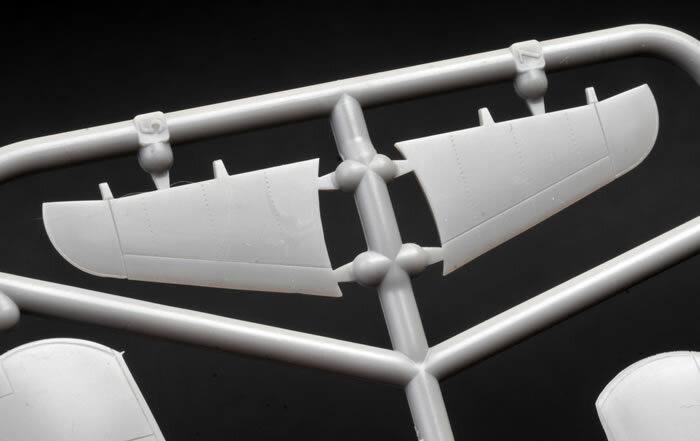 Cockpit detailing is first step and is comprehensively covered in plastic and PE. Attached to this is the front undercarriage well and leg, the latter I would be inclined to leave off at this stage due to the risk of damage. The instrument panel can be painted or there is a decal for it. The main u/c bays have good moulded detail on the interior of the upper wings and seperate boxed in walls. 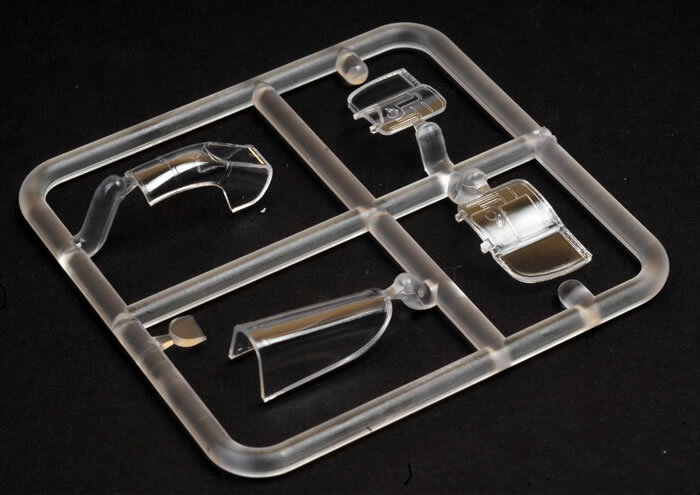 This version has the later shallower intake behind the pilot and this is provided on a seperate sprue and with a lovely PE mesh guard. The 12-pot exhausts are finely moulded, as are the wheels and u/c legs. 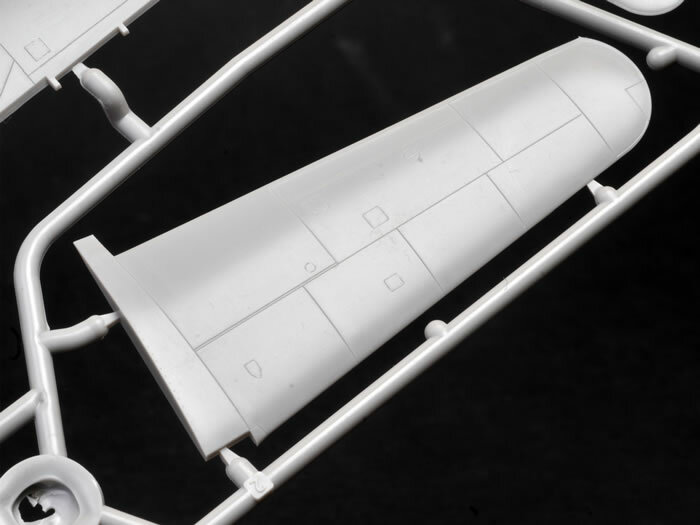 Control surfaces for the main-planes are seperately moulded, as are the moving surfaces on all all three parts of the empennage. Trailing edges are very fine. The propeller is also finely moulded. Clear parts are reasonably clear but mine are a little ‘ripply’ so would benefit from a dip in Clear or replacement with vacform parts. The two doors are separate and will need careful masking to get the two windows demarcated inside and out if left open to show the great interior. 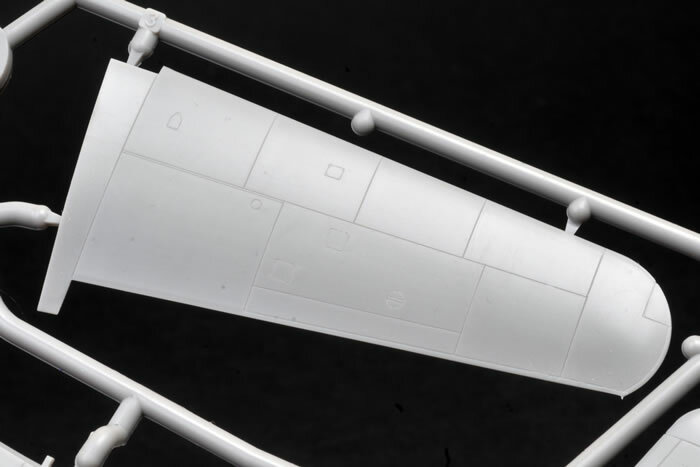 There is no painting information anywhere for the interior or exterior so some research is required by the modeller. Neither is there any indication of the need for nose weight, and experience with these Bell tricycle aircraft is that you will need to include quite a lot! The problem will be where to fit it. Believe it or not but the sheet contains nicely printed markings for six aircraft, all in natural metal. a civil one N9003R with a red nose flash which the modeller will have to paint. This aircraft was originally 311727 (above) in the HAF 1948-60, then obtained by Bob Bean who changed it to these colours 1960-70 before it went to the USAF Museum 1973-2003. It is now in static display at Pima in Arizona in USAF delivery markings as 311727 (qv). Decals also include some nice stencils fro the airframe and the propeller and are well printed with good density. My research in this review was drawn from the following sites :- AirVectors.net, aerofiles.com, WarbirdsRegistry.org and wikipedia.com. Despite the ‘issues’ with the wingspan and incorrect instruction spiel, this is a nice kit. Ignore the above and you will get a good little model of this Central American fighter from the 1950s.